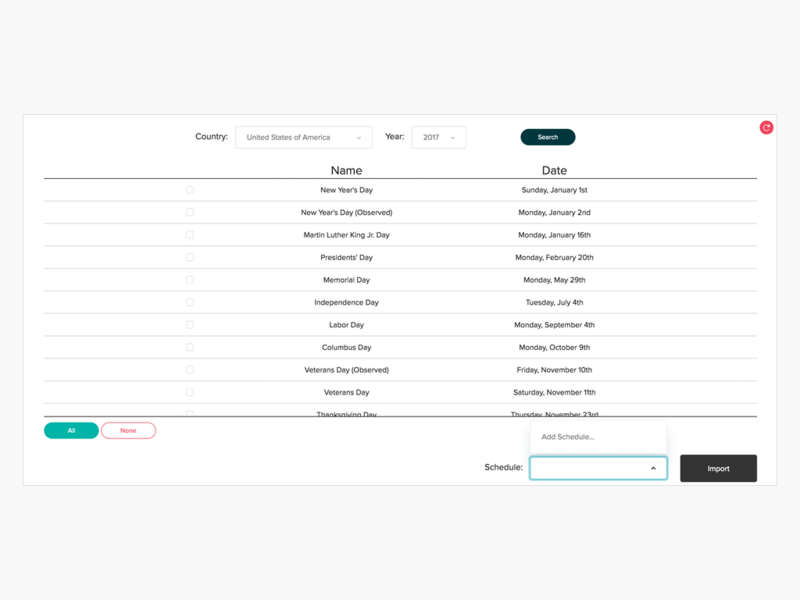 Import holidays into an existing schedule. 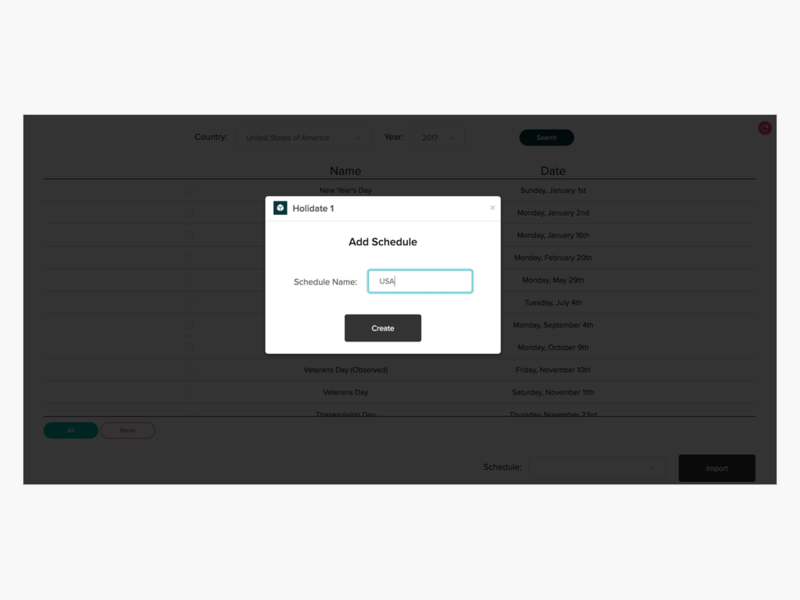 Create new schedules from within app. Import all or some of the listed holidays. Available only on Professional and Enterprise Plans. You must have Business Hours (Professional and Enterprise Plans).